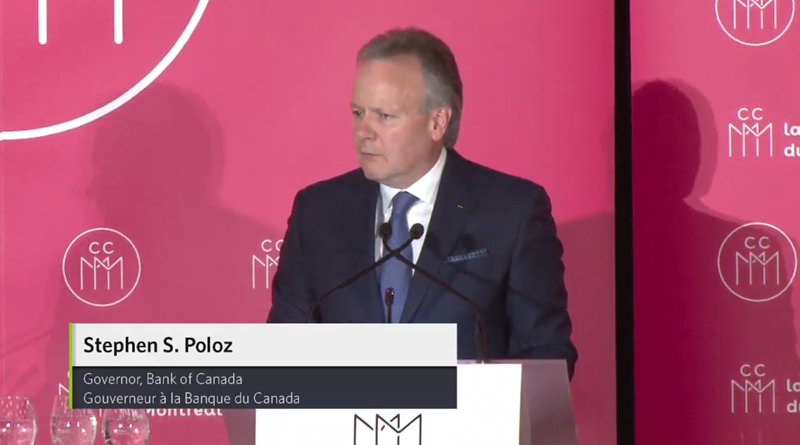 The two main reasons that Poloz said that the BOC has moved to the sidelines are the impact of higher rates on highly indebted consumers and risks to business investment. There is no change in communication or guidance from Poloz here. On net, you might have expected something a tad more dovish, so this (at the margins) is a slight Canadian dollar positive. CAD initially rallied on the headlines but that looks like a mistaken algo. If you take a step back, the BOC is the only major central bank with a decidedly hawkish stance (although the Fed is arguable too). You might think that's bullish for CAD and the loonie has certainly done well this year but you could argue that the stance simply won't last so there's negative headline risk for CAD.